Plain fold roman shades in standard fabrics give your windows the fashionable look of soft drapery while providing you with privacy and light control. 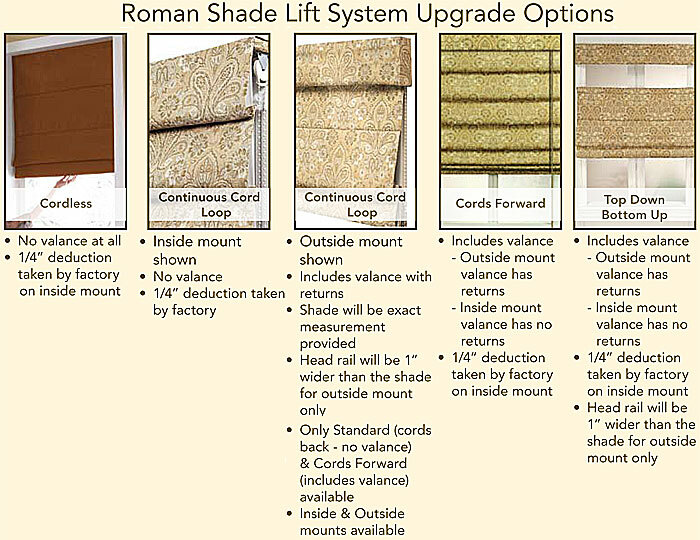 These Roman shades come with light filtering privacy lining, cord locks on the back and optional blackout lining is recommended if you want total light control. You can select from a variety of different colors and prints and the shades can be custom made to fit a range of window sizes. If the fabric becomes wrinkled during shipment you can steam them lightly to remove the wrinkles, but silk fabrics cannot be steamed. Note that stay pockets interrupt the prints. The home living space can be quickly transformed with the requisite décor addition. But homeowners often struggle to find the right piece to add to their existing décor arrangement. 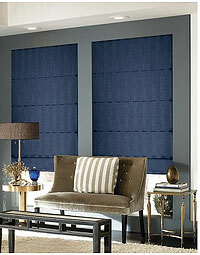 Our Plain Fold Roman Shades are some of the best roman shades on the market. 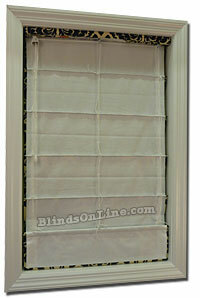 Each of the Roman Shades we produce are an example of the exquisitely stylish décor available through BlindsOnline.com. Each of our Plain Fold Roman Shades is designed to support stylish light control in the modern home. 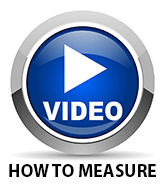 At BlindsOnline.com, we take a range of measures to ensure homeowners pay the lowest wholesale pricing on their window treatments. Our Plain Fold Roman Shades are now available at the lowest market pricing to help homeowners save money while improving their living spaces! Our standard fabrics include Regal Square Moonlight for those that prefer a relaxed yet classical appeal and Silk Crepe Pebble for a modern touch to the home space. It’s the trusted selection expected of a market leader! At BlindsOnline.com, we recognize that homeowners require their home décor to be designed specifically for their long-term needs. 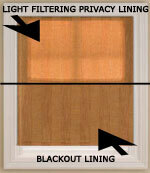 In response to this requirement, we’re offering our Plain Fold Roman Shades in a complete range of cord options. Clients can select from options such as cordless shades, continuous cord loop, and cords-forward options to provide intuitive performance within the family home. 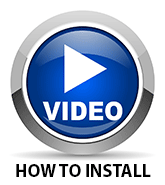 We’re continually updating the performance of our systems to suit simplified home use!